A bunch of friends have been asking me how to go about making these massive changes in their diet. It’s a mammoth task, and it’s not one that can be undertaken without some sort of plan. Because the truth is, if you think about this stuff too much, you can go insane. Then analysis paralysis ensues, and you need to take a nap before you even start. With the vantage point of being a few years into this, I have put some thought into how to execute all the modifications in the most consolidated way possible. Please note that I did not use the word easy, because making these changes is SO not easy, and I respect you enough to know that you have already intuited that. So, enter the concept of doing things in stages. The earlier the stage, the less complicated. Each successive stage involves more planning or work to execute. You start reading labels on every single thing you eat. You remove all corn that is not organic. You’ll find it in a TON of food that comes out of a box. If it’s not specified as organic, it’s genetically modified. 88 percent of corn in the US is genetically modified, and it’s MUCH cheaper than organic corn, so it’s a safe bet that the processed food company is not decreasing their profit margin to be nice. That includes corn oil. You remove all soy that is not organic. 93 percent of soy in the US is genetically modified. Also much cheaper than organic soy. Also, any time vegetable oil is referenced but not specifically called out, it is usually corn, soy or canola. Which brings me to the next one. If something has sugar in it, but it’s not specified as cane sugar, it’s likely sugar made from genetically modified sugar beets, which comprise 95% of the sugar beets grown in the US. Just removing these four things will probably put about 80% (possibly more) of the processed food you consume out of play. Which might make you eat more food that doesn’t come out of a cardboard box. 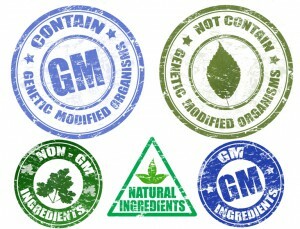 Anything left that you need to come out of a box, look for the label that says “non-GMO”. Replace the stuff you used to eat out of a box (especially cereal) with organic granola and raw nuts. God help me that I would have to say this, but NO FAST FOOD. It’s basically composed of GMO ingredients and MSG. If you lose weight or start to feel better, please comment on this post so we can share our experiences as a community! weblink http://accountinator.com/2011/11/12/what-is-equity-and-how-can-it-be-dangerous/ We’re going to change history; we’re going to turn the Titanic around this time before it hits the iceberg; we’re going to miraculously stop the insane, suicidal march now presided over by the governments of the world; and it’s going to happen because we say so.